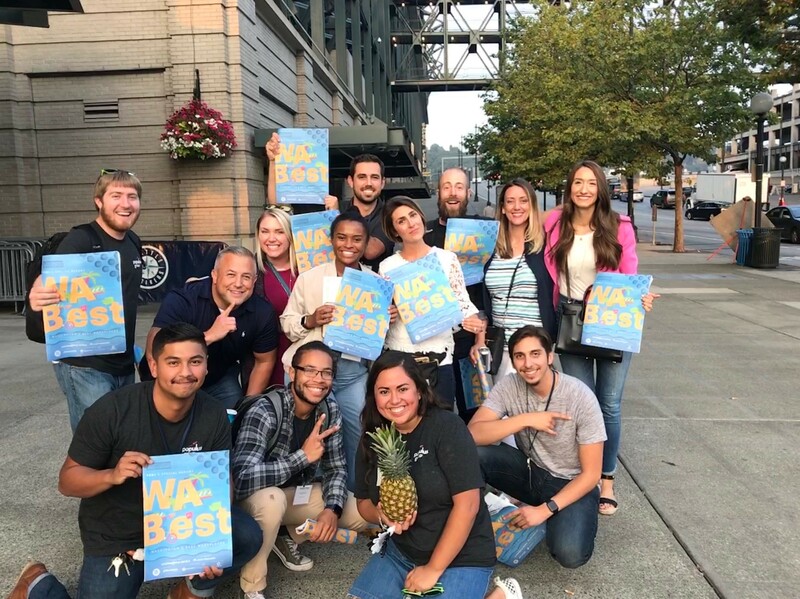 SEATTLE, Aug. 21, 2018 /PRNewswire/ — Each year the Puget Sound Business Journal names the best places to work in the state of Washington based primarily on culture and employee happiness. Of the thousands of companies reviewed, Populus Group was ranked in the top 25 in the Small Business category. The cultivation of a strong and healthy company culture is an intentional focus for Populus Group. Beginning with a focus on trust, PG strives to create an environment for employees to thrive long-term. 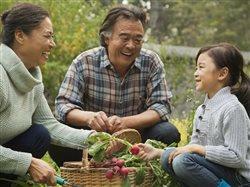 Populus Group offers employees a wide range of benefits to support individual and community development. PG invests in employees with a robust training program and a focus on lifelong learning, while also getting reimbursed for any book they purchase. 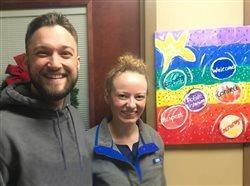 One of the most significant organizational focuses is giving back and volunteering in the community, with an emphasis on children and Veterans. 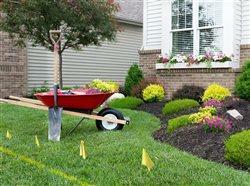 PG dedicates time throughout the year for employees to participate in volunteering opportunities and community events. 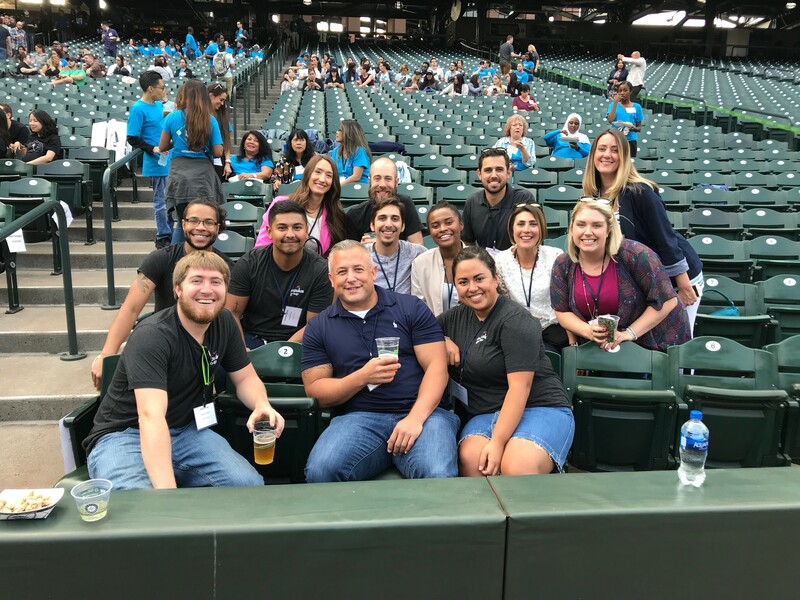 Populus Group also provides employees with unique benefits, such as our “Treat Yourself Account,” which gives employees one thousand dollars annually to spend on anything from massages, to flights or concert tickets, and more. Employees also have a “Climber to Climber” lunch program, in which they can grab a bite to eat together on PG to learn more about each and their roles. Employees can also enjoy breaks throughout their workday with games, puzzles, bring your dog to work days, team lunches and happy hours. 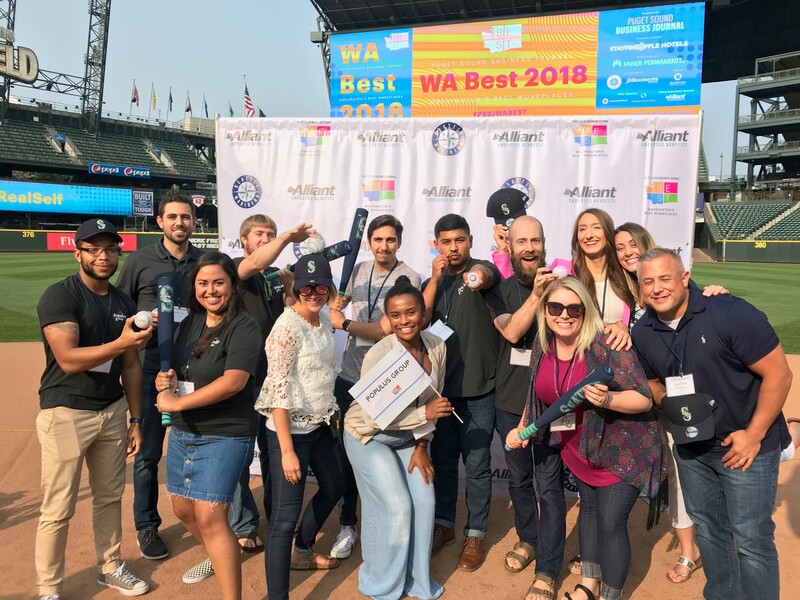 Populus Group joined with the 100 Best Companies at a celebration and ceremony on August 16, 2018, at Safeco Field in Seattle. 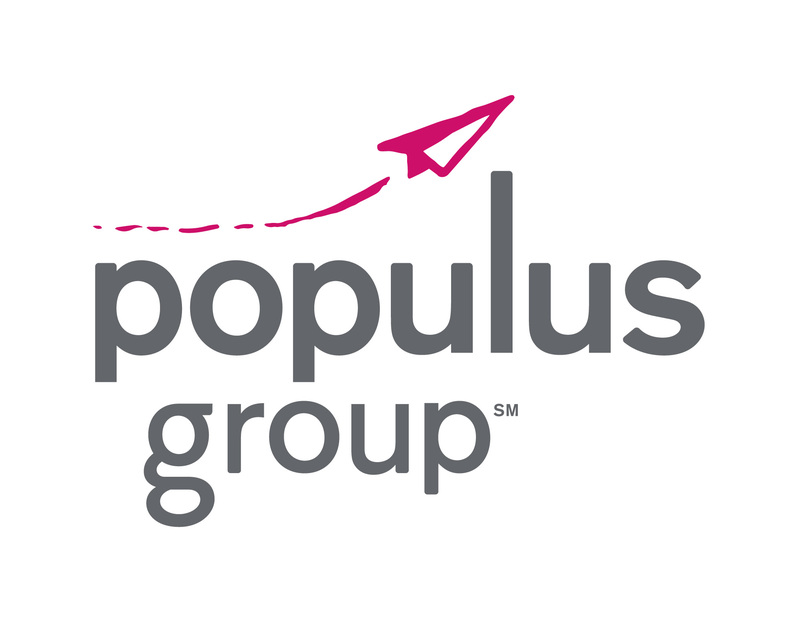 Founded in 2002, Populus Group was built on the belief that everyone deserves the opportunity to succeed. This drives how PG serves employees and customers. Populus Group is a certified Minority Owned Business Enterprise (MBE) and a certified Veteran Owned Business. In addition to the Seattle office, Populus Group has offices in the Bay Area, Chicago with headquarters in Detroit, Michigan. To learn more about Populus Group, visit the website! Populus team at the Best Places Event!